Sometimes, the underachieving kid who gets picked on and joked about ends up having the last laugh. Well, the poor kid is now kicking goals and going places. 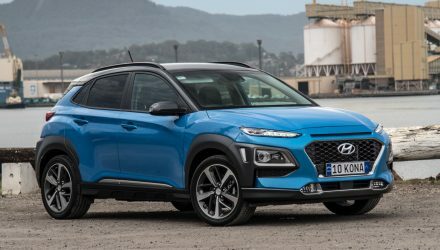 While rivals struggle for year-on-year growth, Hyundai has achieved it for the last seven years, showing that, to customers at least, the budget-friendly and slightly tacky no-frills perception is largely a thing of the past. 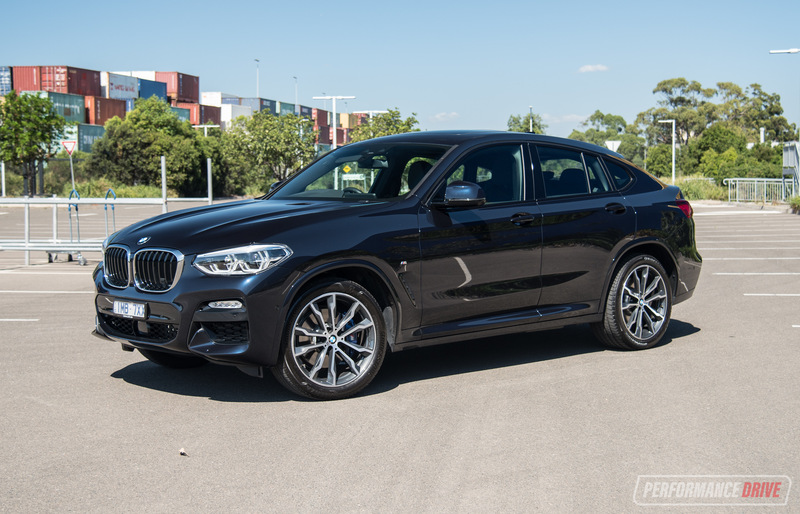 This transformation and the Korean giant’s ambitions have been covered ad infinitum by motoring rags, but, with a few exceptions, the consensus has been getting there, albeit lacking outright polish, particularly in the dynamics area, to be near class-best. 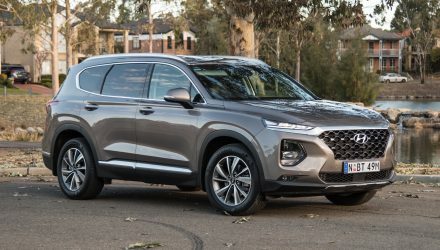 The latest slew of products, including the range-topping Genesis, the Sonata and now the Tucson, are the most convincing Hyundais to date. 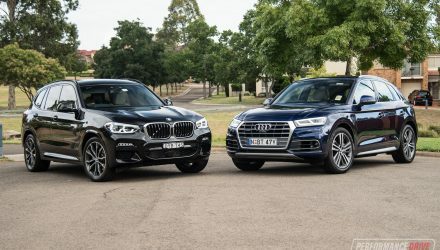 They are even becoming noticeably more enjoyable to drive thanks to Australian engineering input earlier in the development process than before. 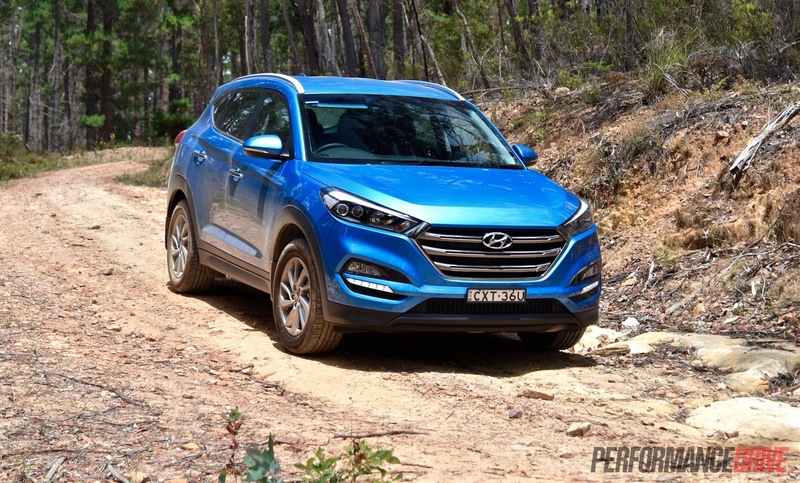 The Tucson is the latest release and competes in the hottest growth segment of the market; medium SUVs. 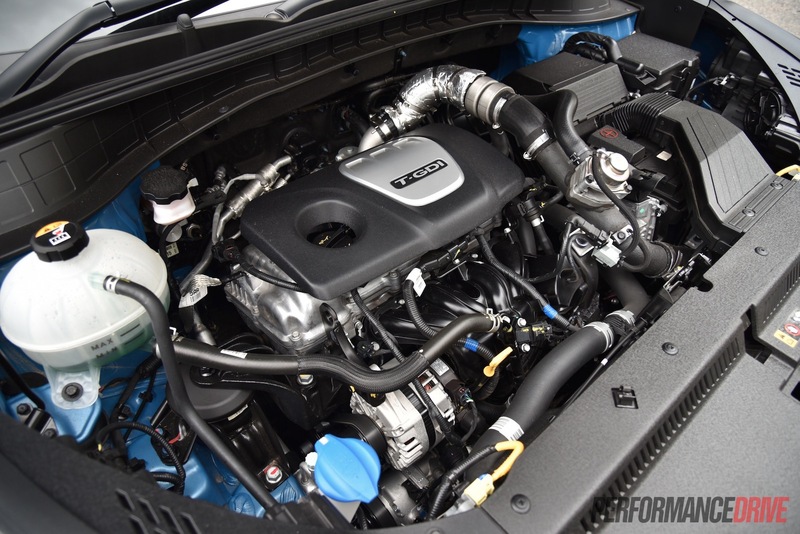 We’re testing the mid-tier Elite 1.6 GDI Turbo petrol, with the seven-speed dual-clutch gearbox and all-wheel drive. 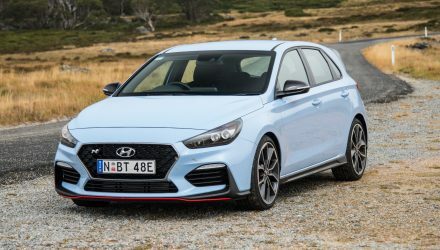 With a red “Turbo” badge and engine taken from the exciting Veloster SR Turbo (down 20kW, same 265Nm), it certainly has sporting pretensions. Being PerformanceDrive, we best put them to the test. 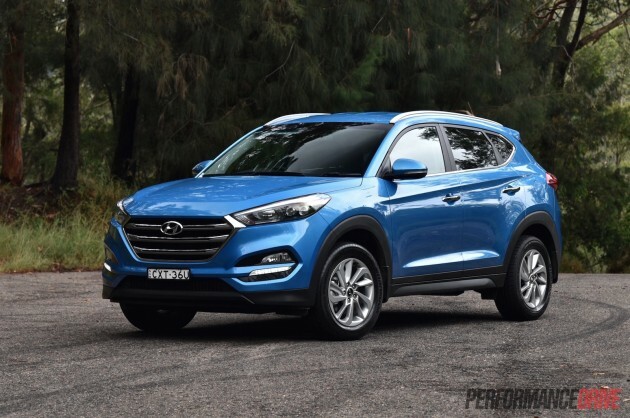 Aesthetically the new Tucson is very well resolved and distinctively eye-catching, using Hyundai’s Fluidic Sculpture 2.0 design language. 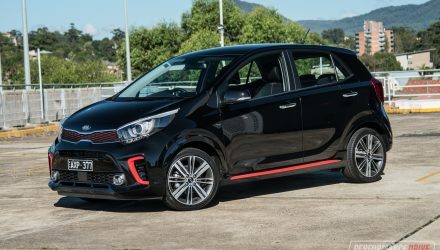 A confident face consisting of brilliant blue LEDs and a trapezoidal chrome grille sits affront a tightly-proportioned body, where the small rear end lends the impression of a smaller, more nimble car. Priced from $38,240 the Elite 1.6T sits dangerously above the more powerful 178kW Ford Kuga Trend (from $36,890), 132kW Toyota RAV4 2.5 GXL ($36,990), and 138kW Mazda CX-5 Maxx Sport (from $35,790); all mid-spec rivals. 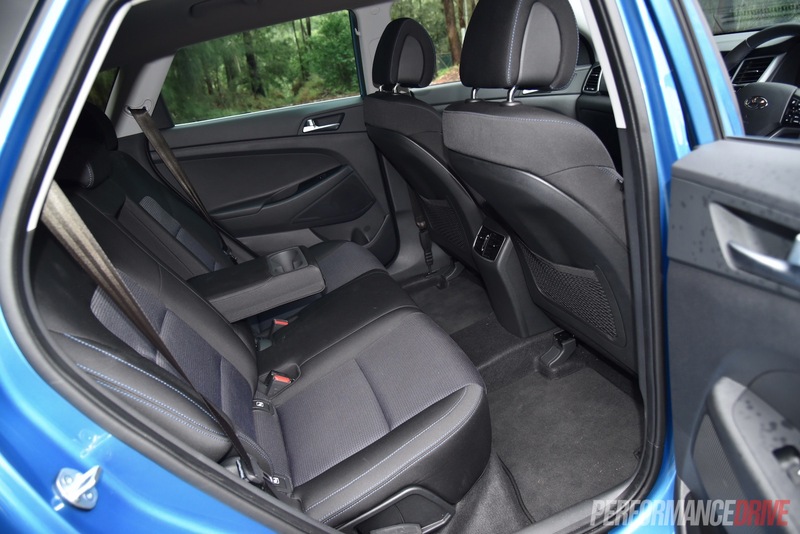 Hyundai says the Mazda in particular is not as roomy inside as the Tucson, despite being 65mm longer. 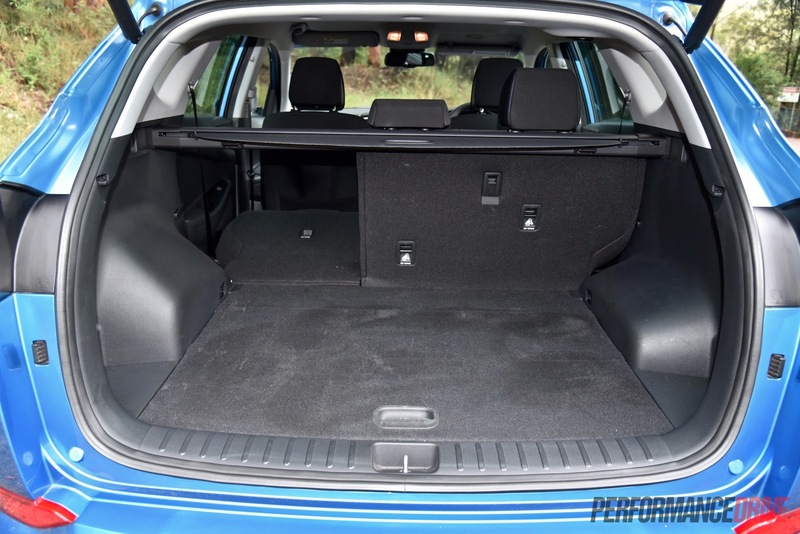 Cargo space is also 85 litres larger in the Hyundai compared to the segment favourite’s 403L volume. The Elite’s draw card is newer packaging and styling, plus a few features that are only offered in higher-spec variants of the rivals. Sitting inside, we see a very neat and cohesive design which borrows elements from Genesis and Sonata. The dash fascia and climate panel functions are intuitive and well placed, but it’s all bisected by a nasty and rough-looking plastic that would not look out of place in a 2001 Accent… or 1990s primary school class chair. Aside from that, most of the materials are decent, with the same logical switchgear throughout. Particularly pleasing to touch are the push-in switches for Drive Mode (Normal, Eco, and Sport) and centre diff lock around the electronic handbrake. 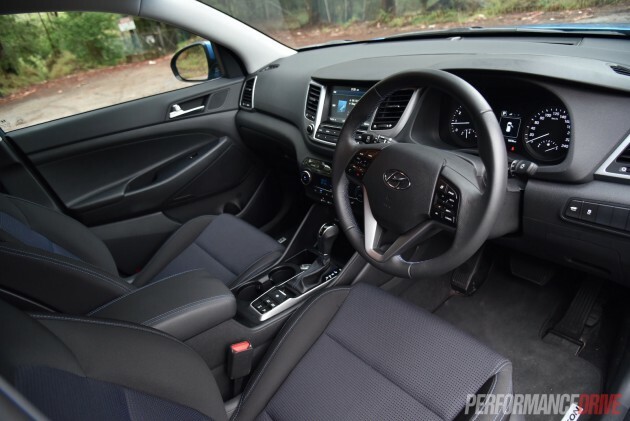 The steering wheel is nice and small too and sits aft of a clear and concise instrument cluster. 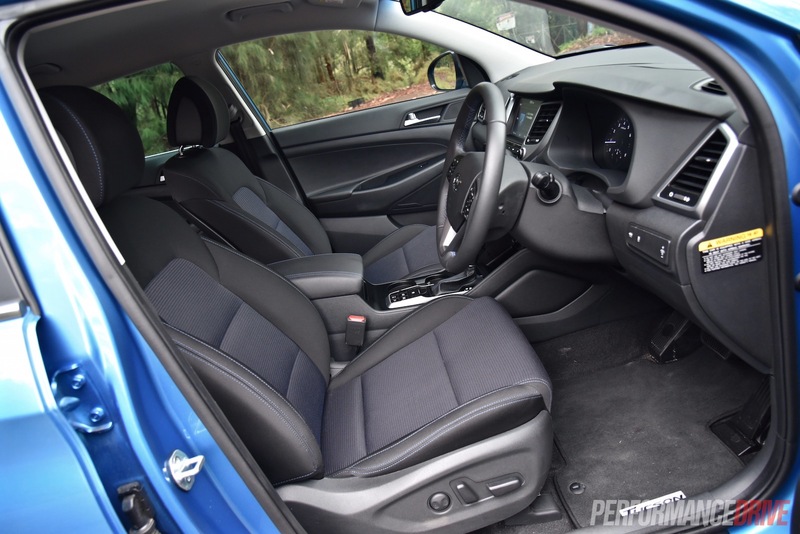 Some materials here still need improvement we think, but overall, Hyundai presents a competitive package with this interior. The touch-screen infotainment system is easy to navigate and more user-friendly than some rival systems, such as Toyota’s setup that doesn’t let you input navigation coordinates on the move. 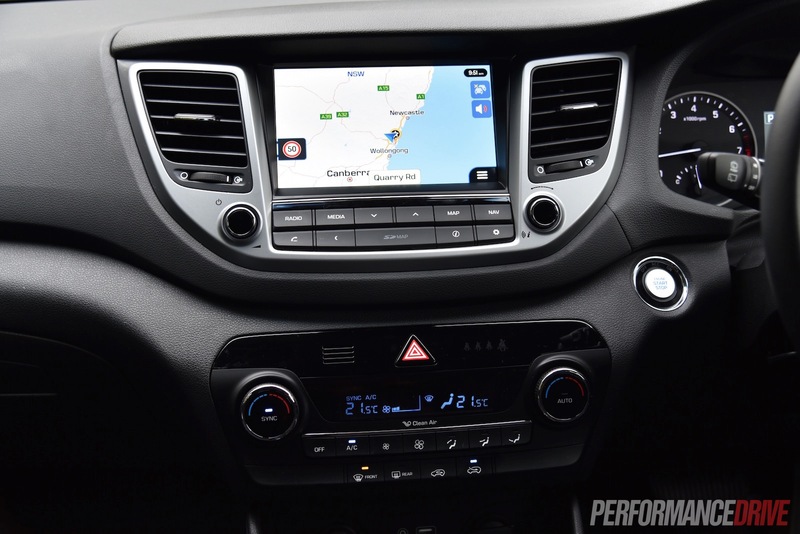 However, the Tucson interface does lag behind Mazda’s MZD Connect system with its separate rotary controller. The absence of Apple CarPlay is an unfortunate omission, considering its inclusion in the cheaper Tucson Active variant. 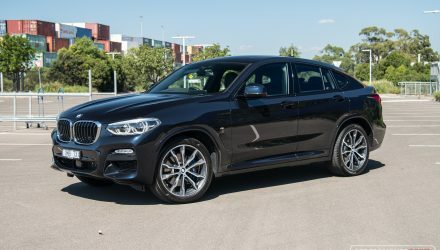 It is set to become available later this year. 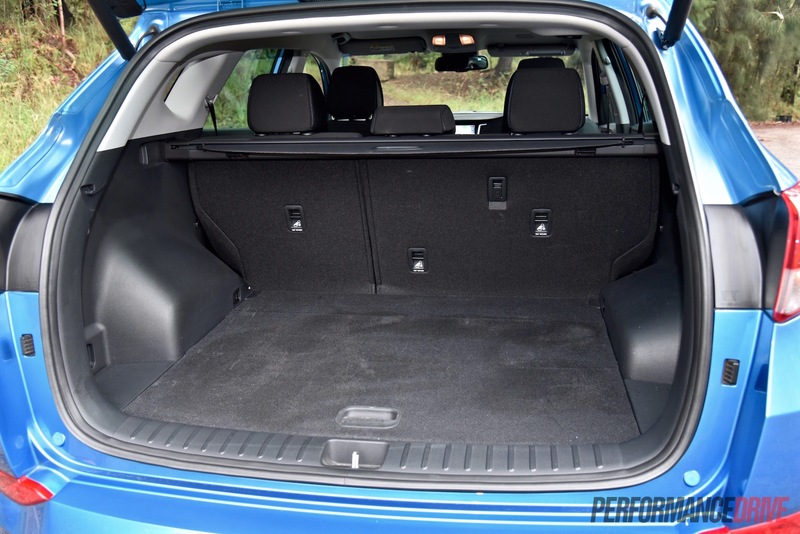 A standard electronic opening and closing tailgate adds a genuinely premium and useful convenience to this price point, while a comfortable driving position is easy to find, although the headrest can be intrusive. LED headlights with fixed cornering lamps are an added – standard – luxurious companion as well. 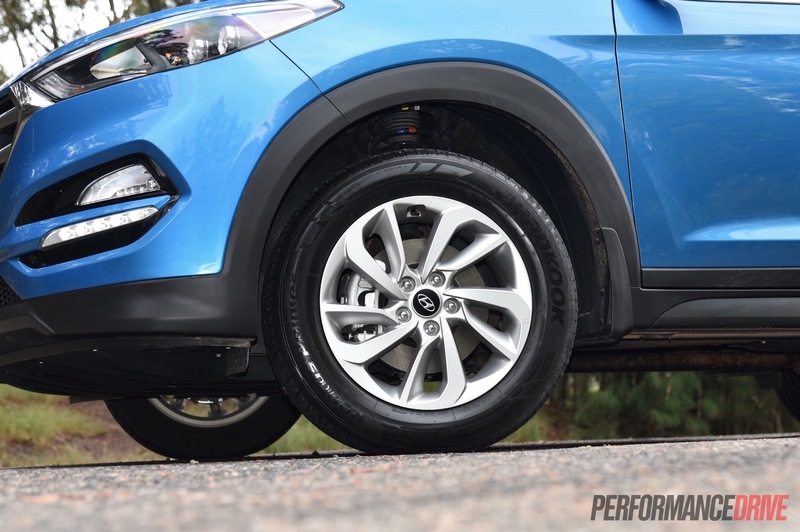 One inclusion that Hyundai should be commended for, sadly enough, is a full-size spare wheel. It shines a poor light on everyone else who defaults to a space-saver (or worse), and is a sign of integrity from the brand. 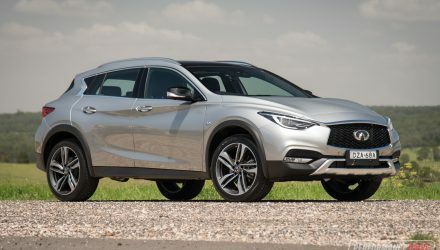 Unfortunately, the Tucson only receives a four-star ANCAP safety rating among plenty of five-star-equipped key segment rivals. 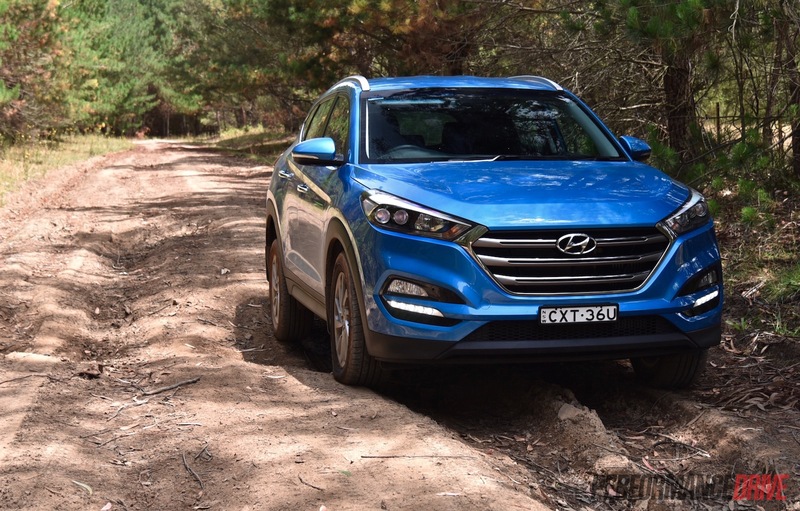 Before we wring the neck of the Tucson Elite 1.6T to see if it backs up the red Turbo badge, we need to take it to Woolies car park and around town to see how it handles domestic rigours. 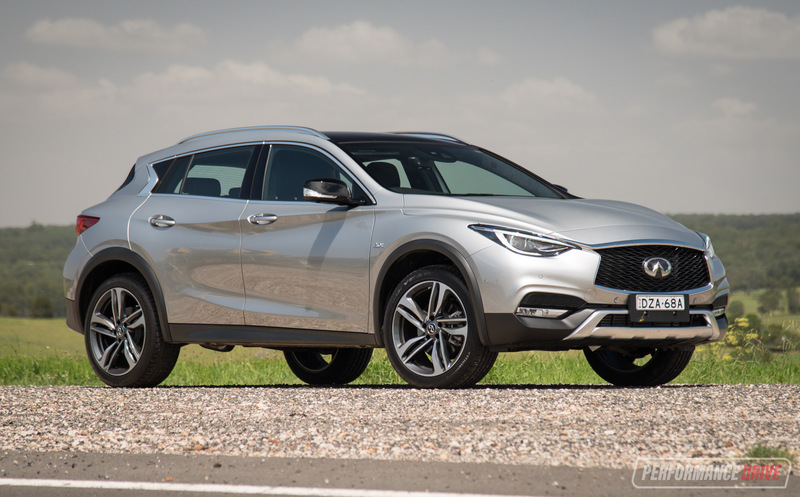 We’re impressed with its light, vice-free steering, and taut but well-damped ride. The engine is very smooth and silent too, offering excellent noise suppression. It is so quiet inside, recording just 34.8dB at idle – you can hardly hear it. 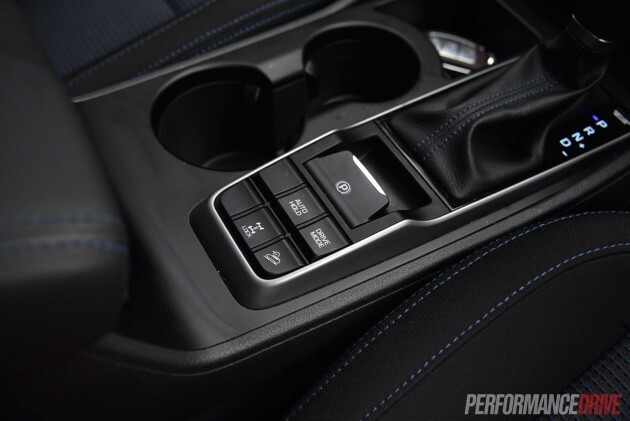 The seven-speed dual-clutch auto could catch drivers unaware as it hesitates between reverse and forward gears. There is also a worrying pause off the line when trying to pull into traffic in a hurry. The automatic clutch take-up is quite slow, even for a dual-clutch unit. Once on the move the gearbox and engine work in unison, offering a surprising amount of urge and responsiveness for a 1.6. 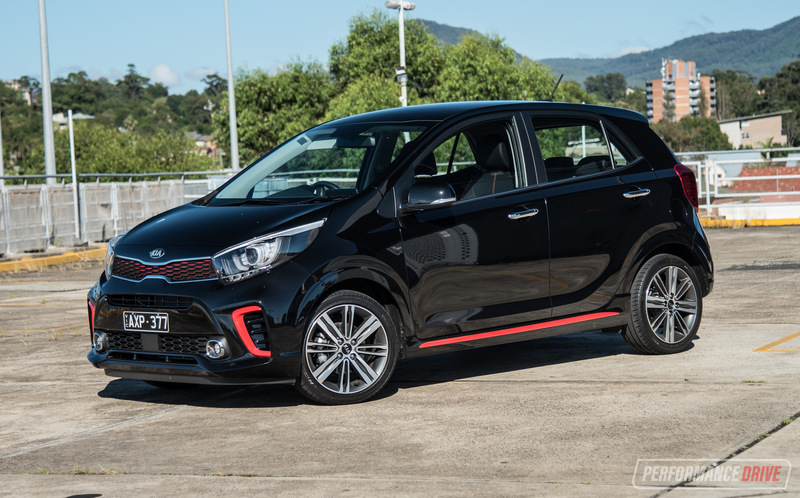 Here, it feels more powerful than the 130kW and 265Nm numbers suggest. We timed a best 0-100km/h sprint in 8.02 seconds, in rather hot conditions, and a quarter mile of 16.62 seconds. 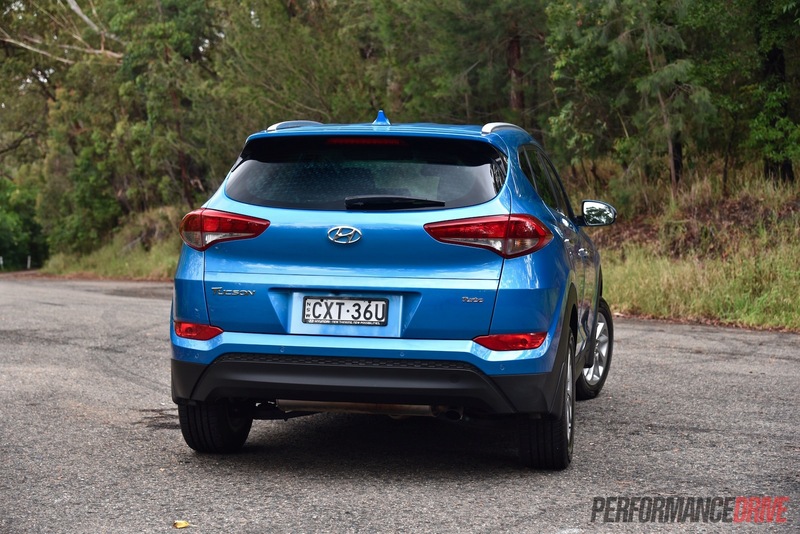 It’s pretty swift for a mainstream SUV, but, if it matters to you, it’s not as quick as the more potent Ford Kuga 2.0T. At highway speeds the 1.6T requires 2000rpm in top gear, with no discernible roar from the pretty ordinary Hankook tyres. We saw the trip computer register as low as 6.7L/100km out on the open road. That’s not bad for a turbo SUV. Around town the fuel gauge needle speeds up, like in most vehicles, settling to around 8.8L/100km. 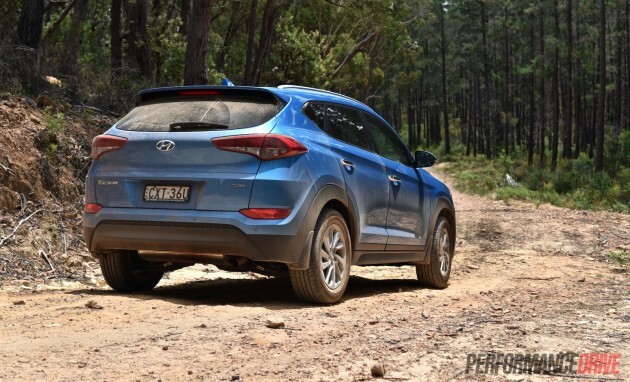 The Tucson is eminently maneuverable around the city, and this story mostly continues as you raise the speed. It feels nippy and ready to turn, if a little top-heavy. 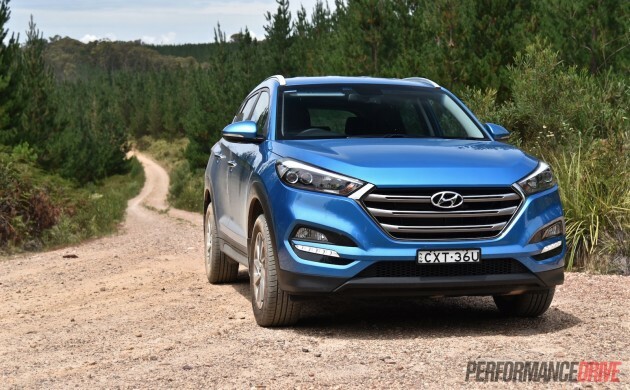 For regular city and suburban driving the Tucson will be appealing to a broad audience. 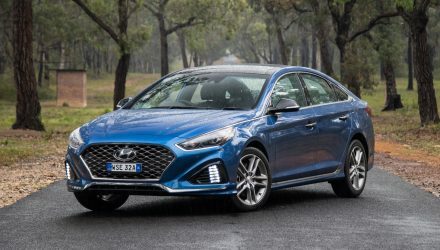 Hyundai has obviously worked hard to make sure it attracts almost all buyer types. What the Tucson isn’t, however, is particularly engaging. Sweeping corners catch the SUV off guard. It starts to feel narrow and tall the more you push it, with the feeling of a high centre of gravity. Some more steering feedback would come in handy too. 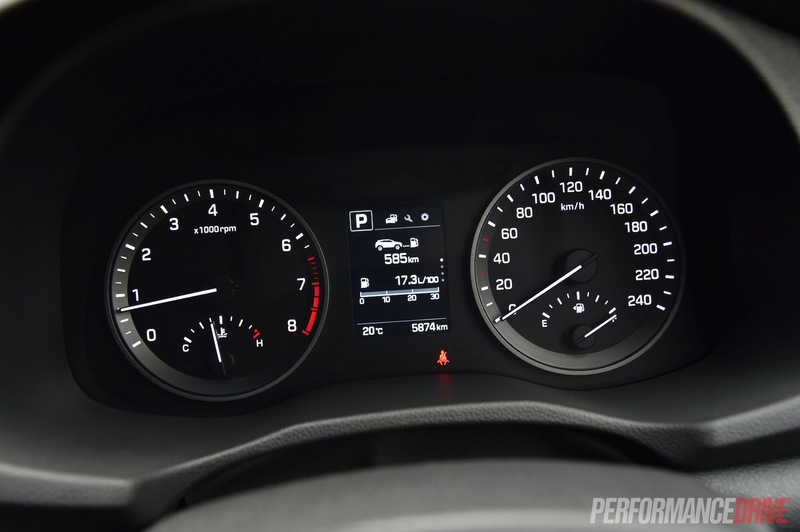 Hitting the Sport button doesn’t change much except for the throttle sensitivity, transmission mapping and steering weight, all without altering any of the good and bad handling characteristics. Off the road it shows its adventurous side. Those “pretty ordinary” Hankook tyres mentioned above do seem hard-wearing and robust enough for rough and dirty conditions. Like with most SUVs in this segment, it’s not about outright off-road performance, but more about the idea of exploration and adventure. 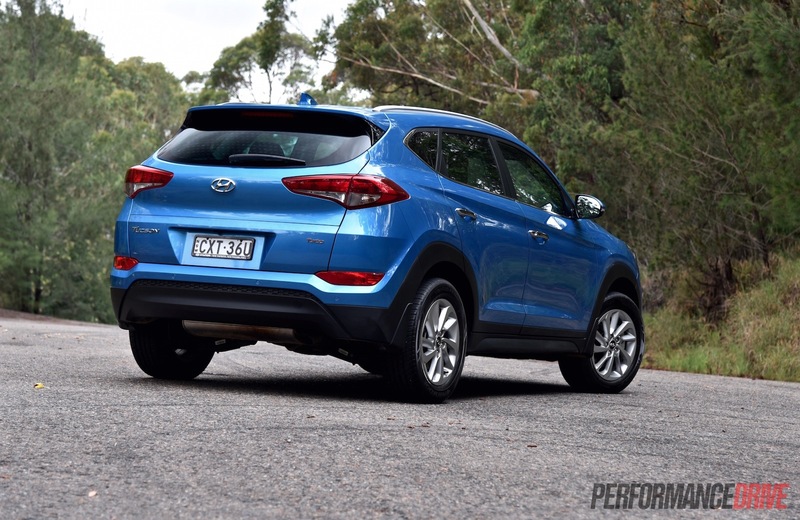 And the Hyundai Tucson certainly supports that. 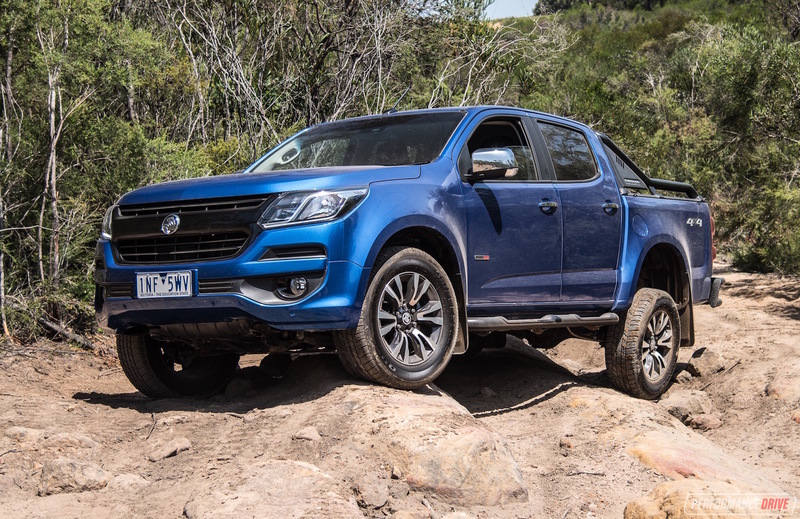 The all-wheel drive grip is impressive, and the centre diff lock does help in extremely slippery conditions, like in wet mud or if you encounter some snow. 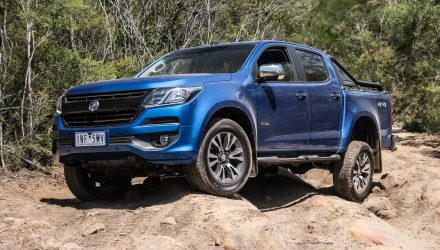 The diff lock could also be used to help pull a boat up a mossy boat ramp, offering a braked towing capacity is 1600kg. 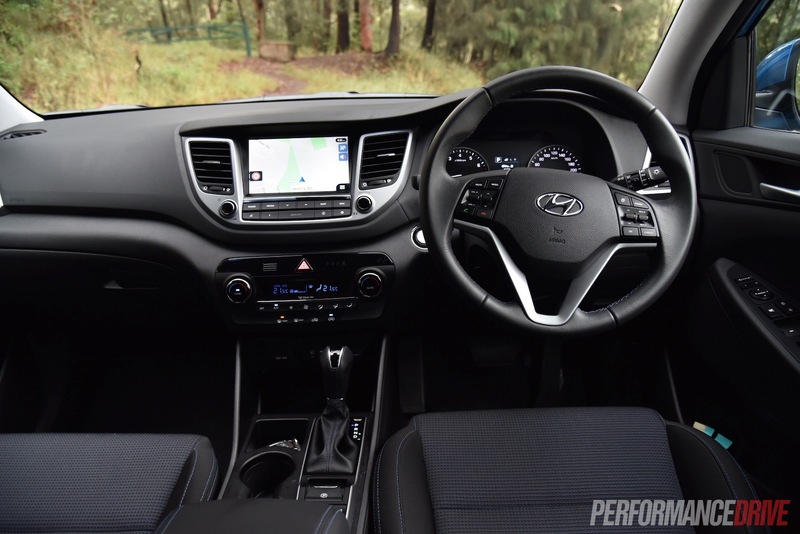 The Tucson is a fresh SUV loaded with features, offering low running costs with a five-year/unlimited kilometre warranty, a neat user-friendly interior, and a smart exterior design. It feels sophisticated enough for this market segment, and is comprehensive and detailed enough in most of the important areas. 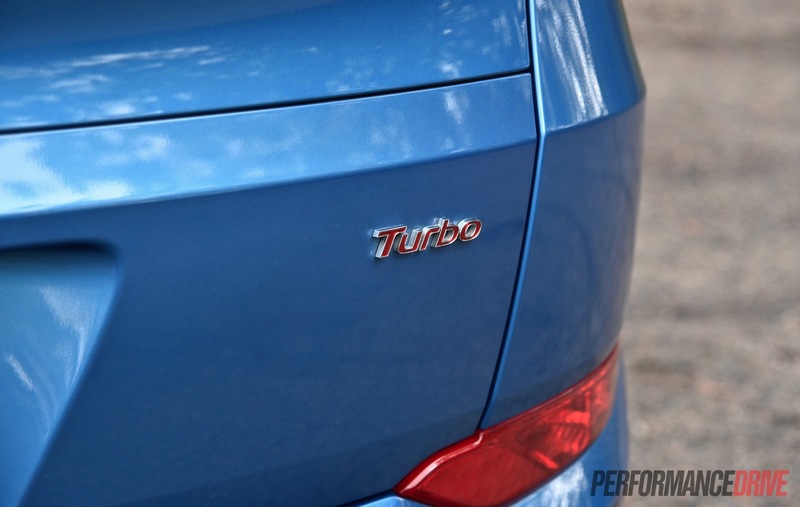 As for the red Turbo badge? Well, it is slightly misleading in terms of outright driver enjoyment, but not far off. 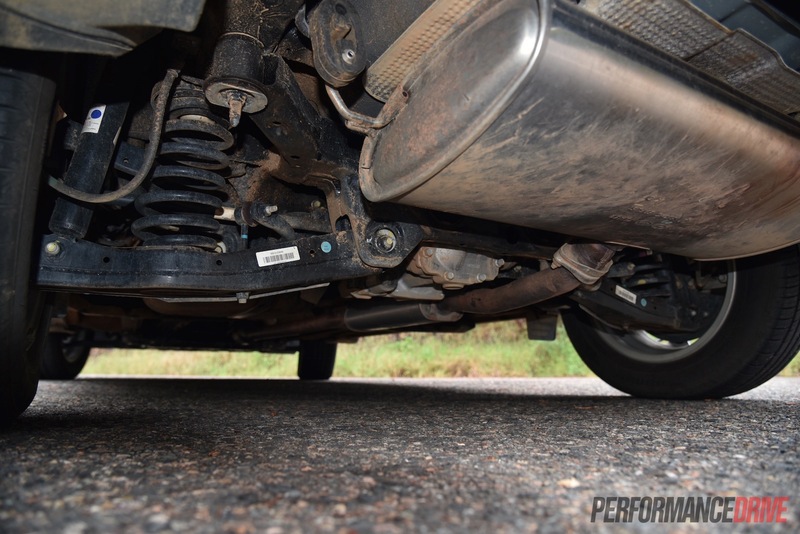 We wouldn’t be surprised to see an SR variant with tuned suspension on the horizon; the fundamentals are there.